As a breeder, producer, rider or fan of the TIH, it is good to be part of a group of people who share an enthusiasm for the Traditional Irish Horse. Your membership allows the TIHA to be able to engage with the broader industry on your behalf to develop a framework for the development of a national breeding programme. The TIHA is unifying the Traditional Irish Horse breeders and supporters under one umbrella so that breeder interests are strengthened. It enables the TIHA to develop best practice for production, breeding methods and standards so to create an equine product and production model that serves all members, riders and buyers. As an association that wants to move with the times whilst respecting the wealth of cultural and breeding heritage that we need to protect for the future, your membership and active engagement is vital for the long term development goals for the TIH as part of the Irish equestrian sector. The TIHA will look to develop and expand key markets that are suitable for the Quality Traditional Irish Horse and are working towards a more focused and targeted approach with stakeholders for better outcomes in breeding, marketing and creating what we believe will be a brighter future. For all those involved in the TIHA it is widely acknowledged that an immense amount of hard work and commitment, frustration, patience and determination has put the TIH back on the industry’s map. We intend to ensure that the TIH as a part of the overall equestrian product mix is well represented and our marketing strategy and development strategies supported. Our members young, old and new continued support enables the association to drive better results for the Quality Traditional Irish Horse for the long term, to deliver better profitability and prosperity outcomes for breeders and save the Traditional Irish Horse and its' genetic diversity. 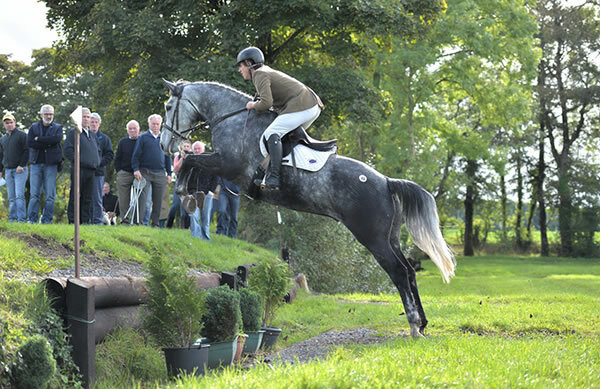 25% discount for selling horses on the Irish Horse Gateway for TIHA members. Opportunity for inclusion in the TIH Breeder and Producer Directory. If you would prefer to register by post, please complete and print the form below and send it with payment of €25 to TIHA, Maple Lodge, Kilcullen, Thomastown, Co. Kilkenny.